Our coverage of the mountain parks of British Columbia (BC) begins with the communities of Blue River, Clearwater, Valemount, and Wells Gray Provincial Park. Wells Gray PP contains 5,250 sq km of alpine wilderness, borne from volcanoes and carved by glaciers. It boasts one of the most unique landscapes in all of BC; where your days are measured in vertical feet, big game sightings and the number of waterfall shots on your camera. Helmcken Falls is Canada’s 4th highest waterfall and just one of 39 named waterfalls you’ll find here. It’s where the Murtle and Clearwater Rivers roar into life each spring and wildlife sightings are as common as sunrise and sunset. Murtle Lake is North America’s largest canoe only lake. It’s here, through a kaleidoscope of colour where you can hike through the wildflower meadows of the Trophy Mountains. You’ll find serenity among old-growth interior rainforests. Select Valemount, Blue River or Clearwater as your staging ground for pure wilderness adventures. 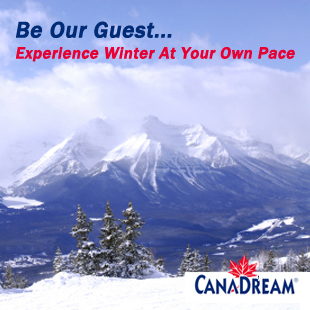 Tour by car, on foot, or from high in the saddle… in the Canada you imagined. 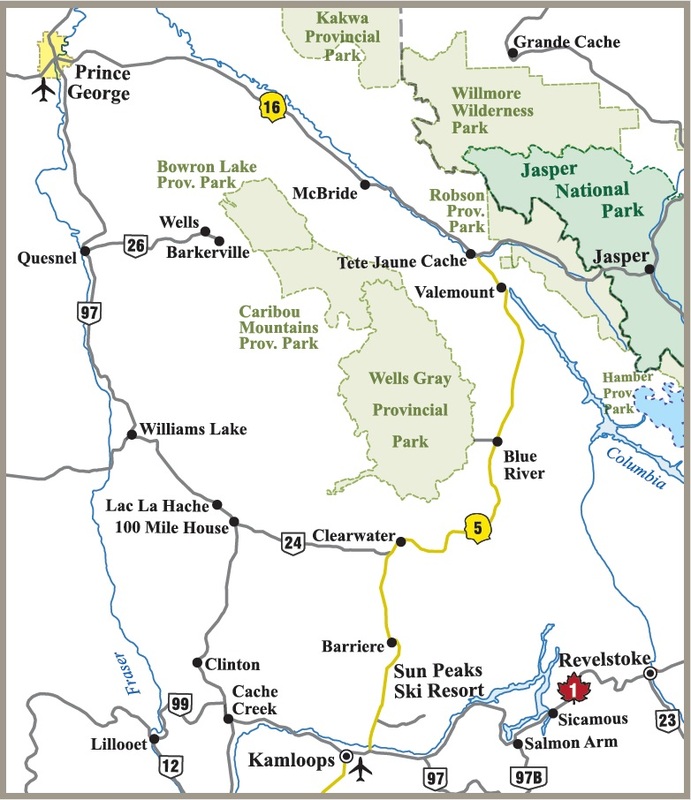 Located one hour west of Jasper on Hwy 16, drop by the Mount Robson Visitor Centre, or stop at the Info Centres in Valemount or in Clearwater. The friendly staff in each facility will ensure you get the most from your visit to this breath-taking area!